It was done in a village name Naar near Village Nalian, one of NRSP arae. there was no electricity. 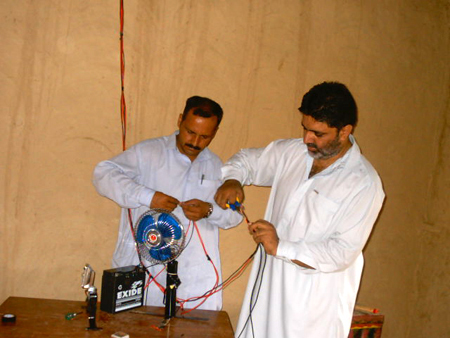 Demonstration was done in a school so that teachers can use fan during hot days and can use light during rain days. This school was constructed on self help bases.